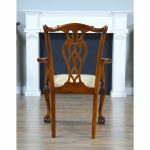 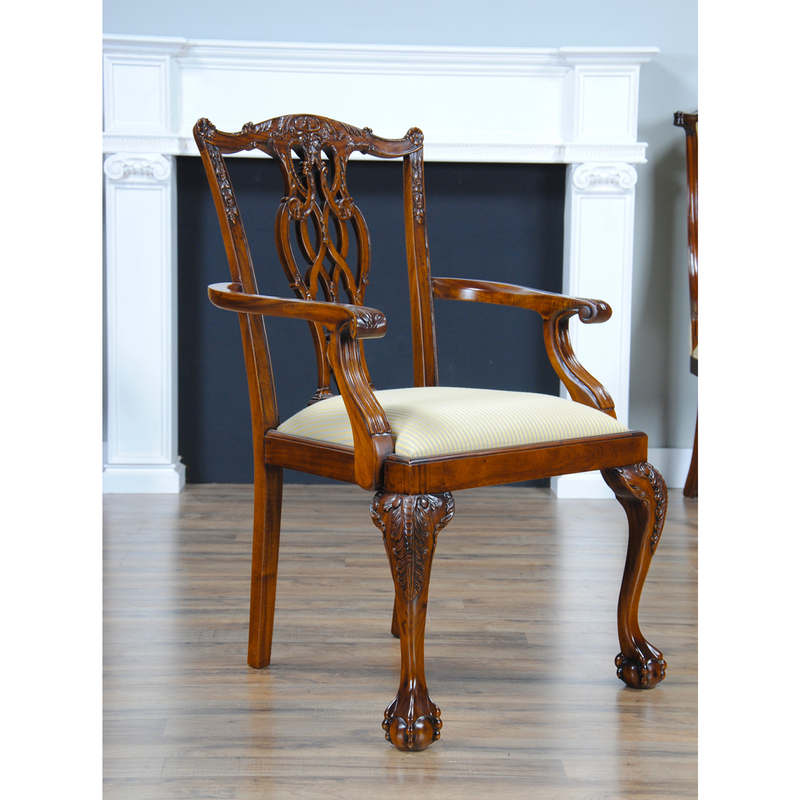 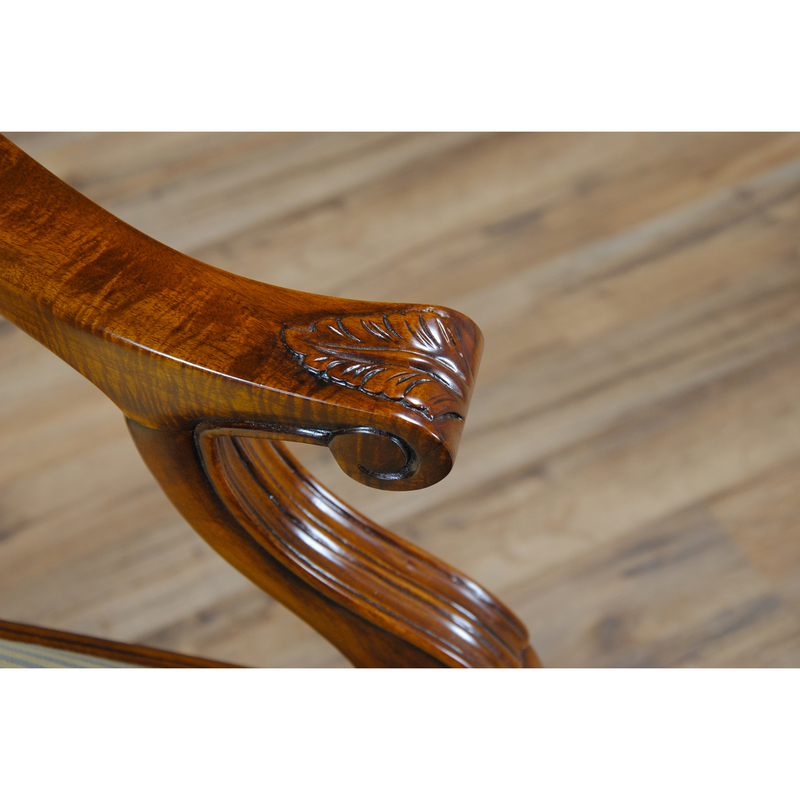 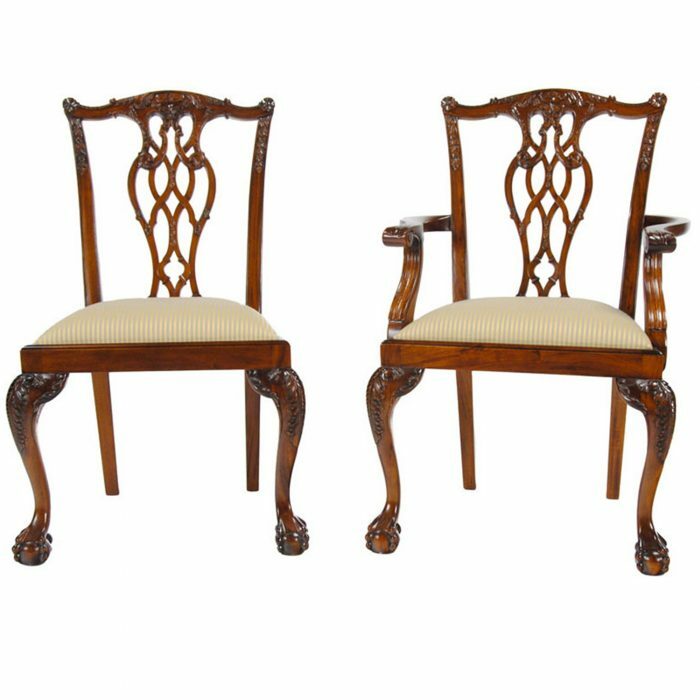 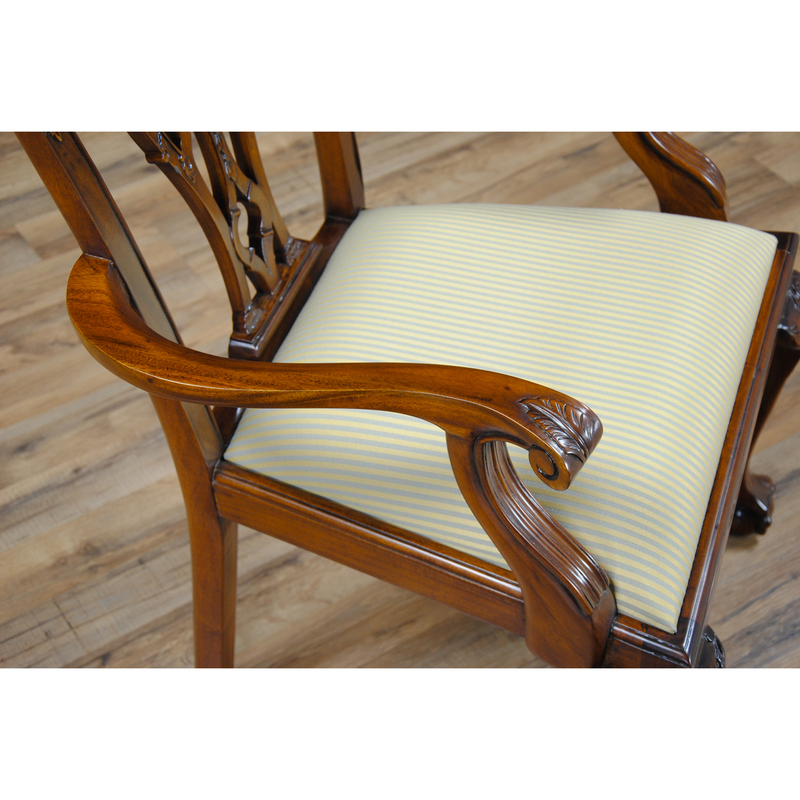 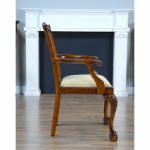 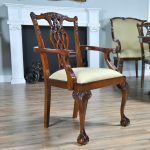 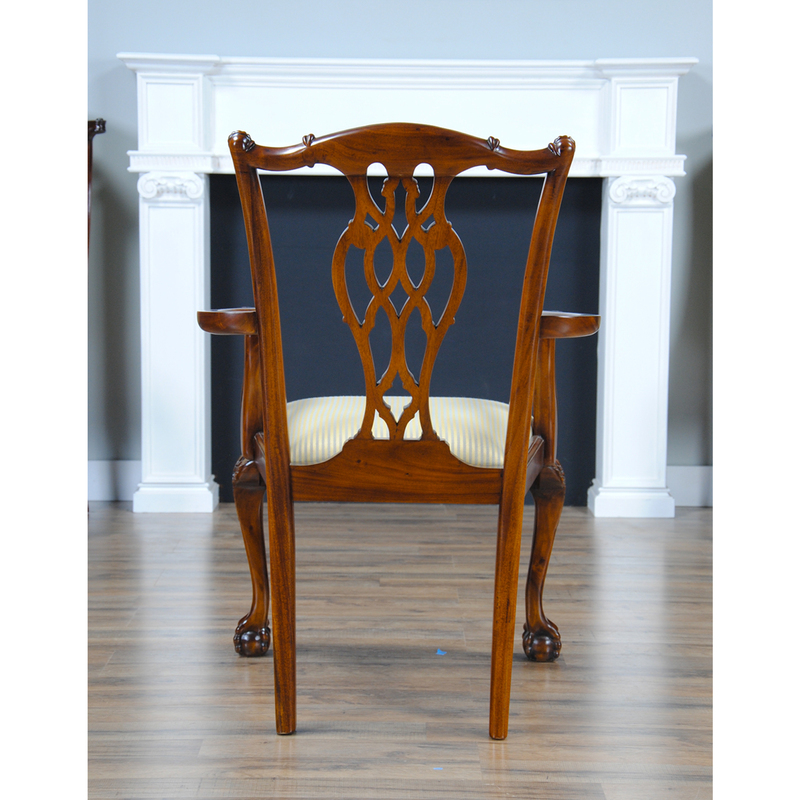 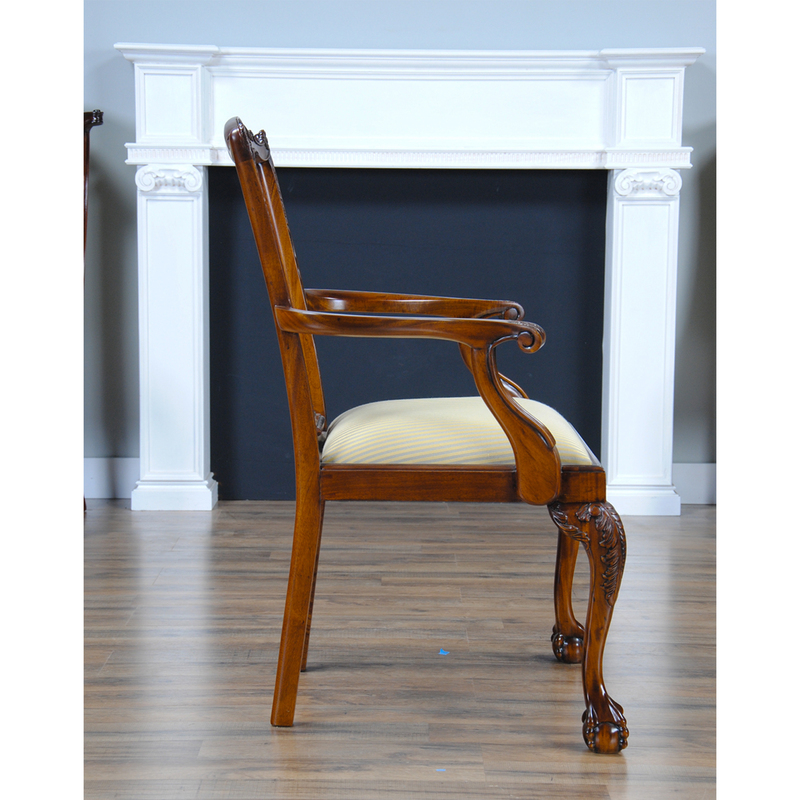 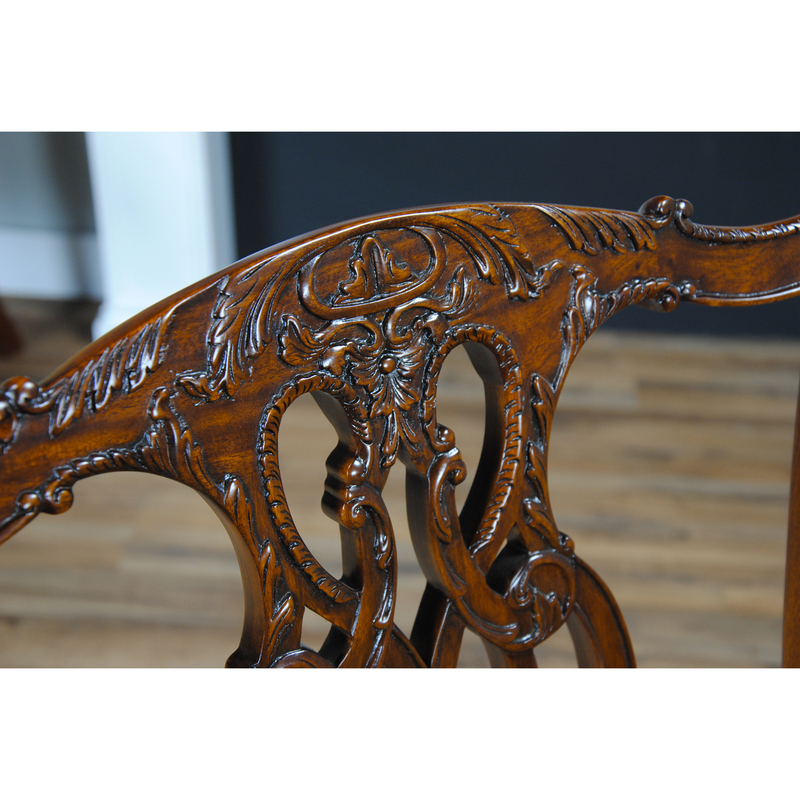 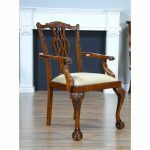 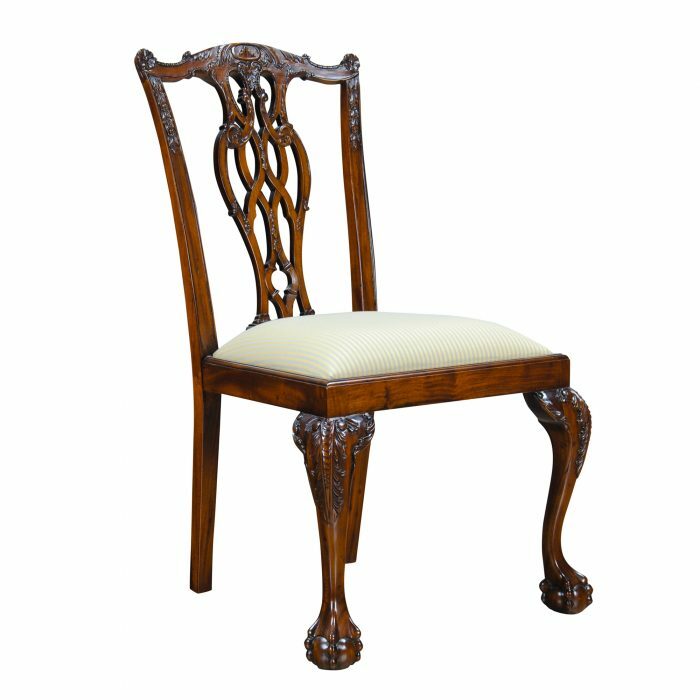 This excellent quality solid mahogany Devon Style Arm Chair Ball and Claw dining chair features a hand carved top rail, a pierced and carved back splat, and scrolled and carved arms over top of a drop in seat which is easily removable should you wish to change the fabric. 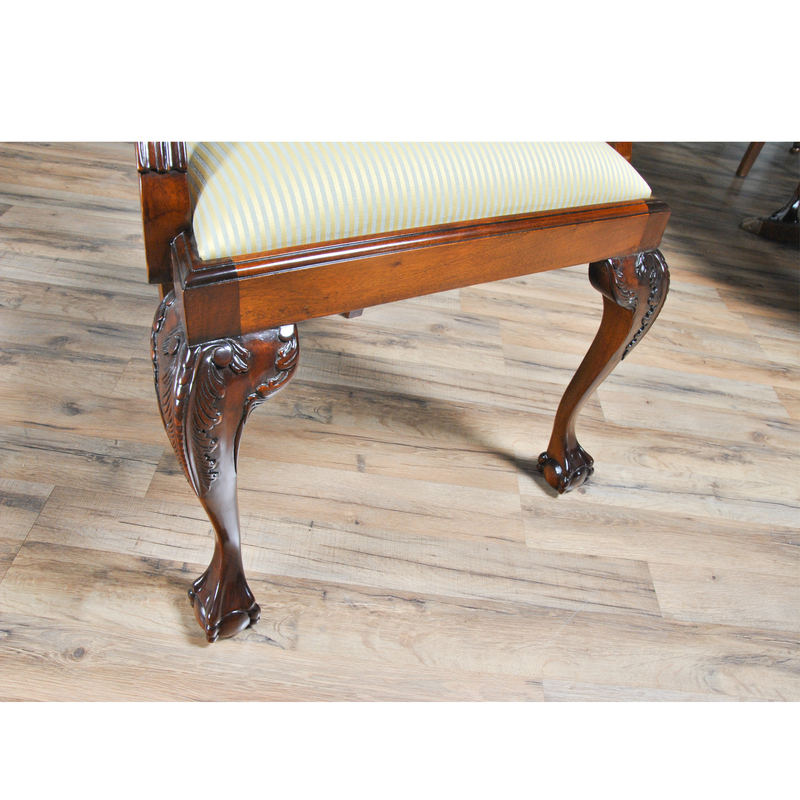 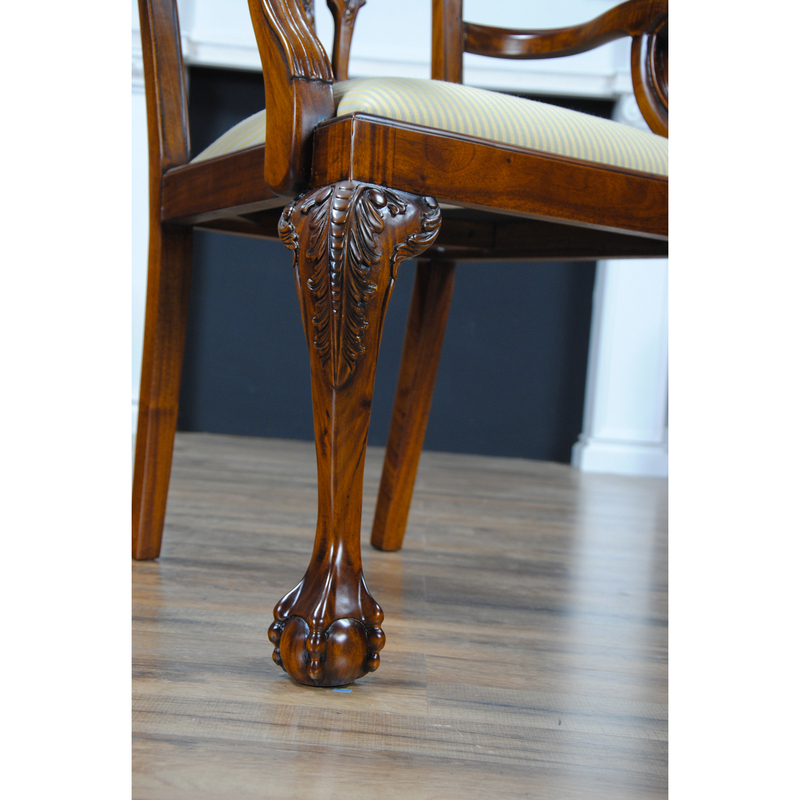 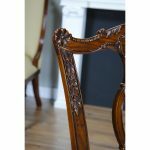 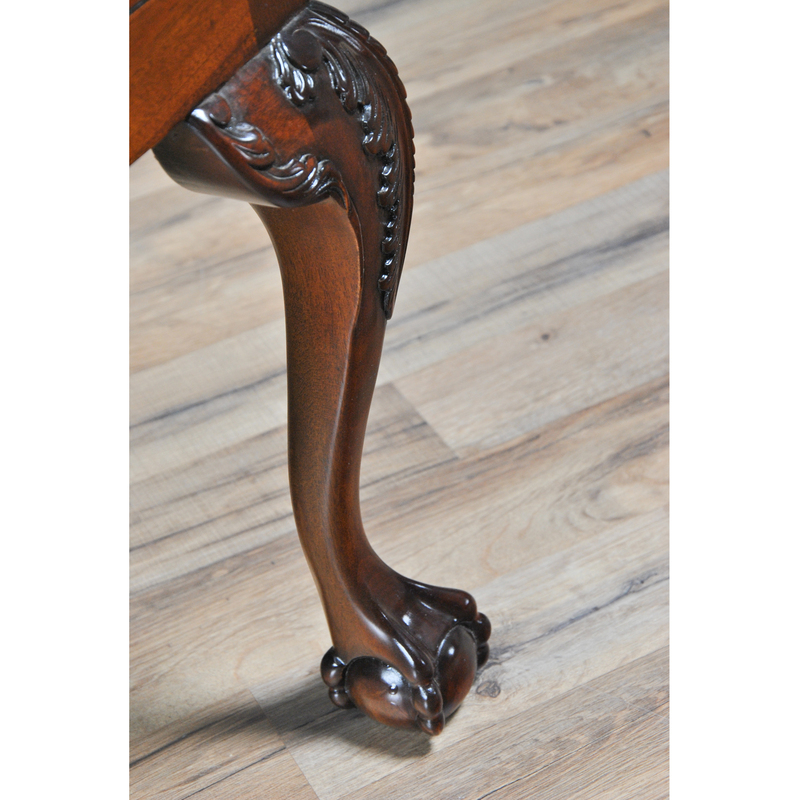 The chair rests on acanthus carved ball and claw front legs and tapered and curved back legs. 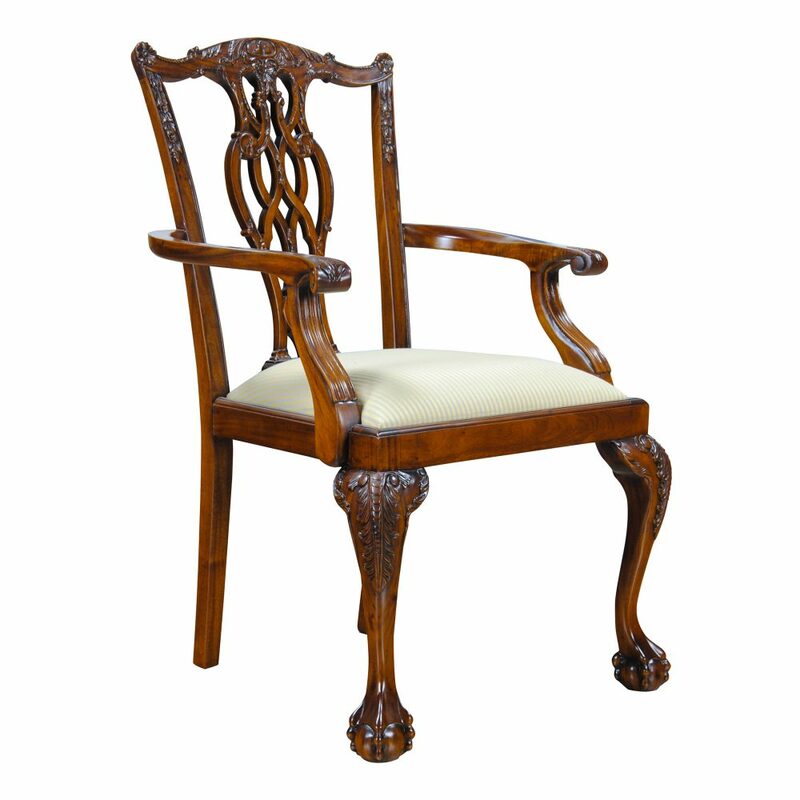 Arm Height 27 inches and seat height approximately 20 inches.